Television actor Vibhav Roy, who made his Bollywood debut with Sanjay Leela Bhansali's Padmaavat, shared his experience on working with the film's director and actors. He played the character of Itaat Khan, cousin of Aluaddin Khilji. 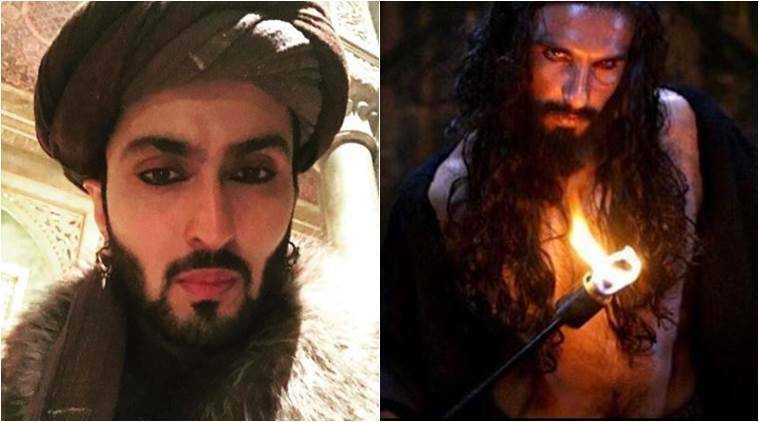 Vibhav Roy played Itaat Khan, the cousin of Ranveer Singh’s character Alauddin Khilji. The world is going gaga over Sanjay Leela Bhansali’s magnum opus Padmaavat. The film finally saw the light of day after battling controversies and bans. The stars Ranveer Singh, Deepika Padukone and Shahid Kapoor have been lauded for their commendable job. Interestingly, television’s chocolate boy Vibhav Roy also made his debut with this film. Playing Khilji’s cousin Itaat Khan, who gets killed by him in a bid to become the reigning Sultan, Vibhav justified his role. As the movie crossed the 100-crore mark in just five days, indianexpress.com got in an exclusive chat with the actor to know more about his Padmaavat journey. Vibhav, who made his debut with Gustakh Dil, has also played the lead in Kuch Toh Hai Tere Mere Darmiyaan and Doli Armaano Ki. While he is basking in the success of Padmaavat now, he did not want to comment on the entire controversy surrounding it. “I think a lot has been spoken about it already and I don’t want to get into all of it,” averred the young man.